MELBOURNE, Florida - Investigators with the Melbourne Police Department have recommended to the State Attorney's Office that animal cruelty charges be brought against a Sebastian police officer who left his K-9 in a hot patrol car in April. 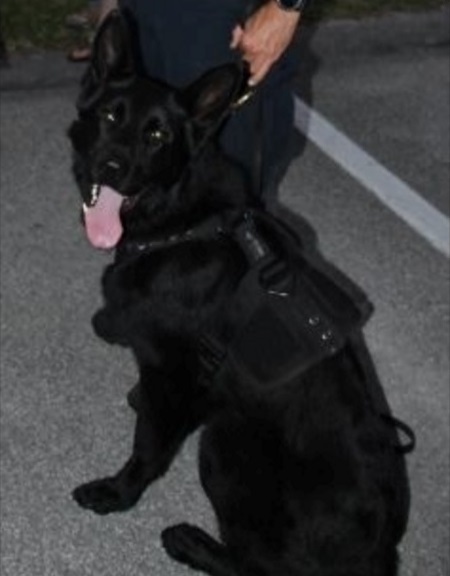 The police dog died after being left in the patrol car by his handler outside the Brevard County Courthouse in Melbourne, Florida. Few details have been released regarding the circumstances that led up to the Sebastian Police Department K-9's death other than that the death was reported around 7:30 p.m. on Friday, April 28, 2017. The K-9's handler has not yet been identified. Originally, the Sebastian Police Department had posted about the K-9's death on its Facebook page, but the post was later removed.